Added a new incentive page. June calendar girl is -- Joey, of course. 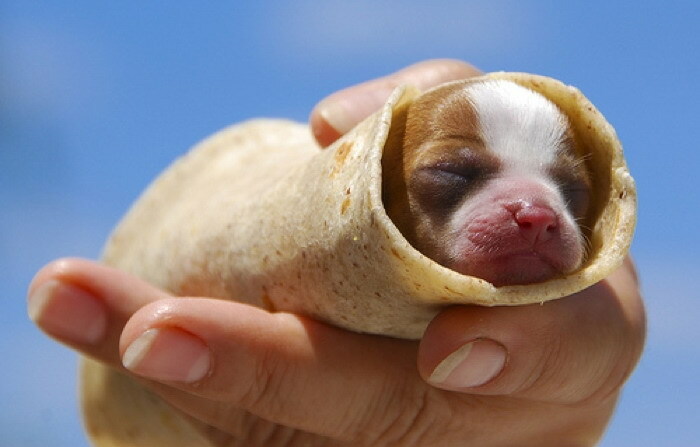 Edit 7/11: Just found this puppy-rito and had to share it. This page leaves me speechless and vomiting. Oh it's not that bad. A 'possum isn't even a rodent... it just tastes like one. She was trying to sneak that in without anyone noticing. Pfft, that's not how you cook a rodent.